TV satellite Turkmenistan to provide satellite TV service in the UAE. 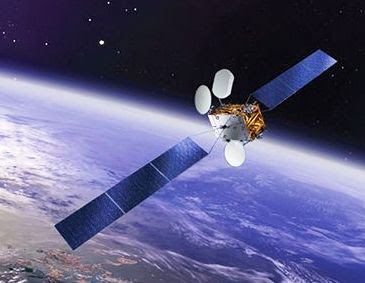 SAC satellite companies' hemrasy Turkmen is in talks with the company 'YahLive' (UAE) on long-term lease of 14 additional transponders of the new artificial satellite "TurkmenAlem 52 E", said by the Government of Turkmenistan in a statement. The relevant commercial offers targeted more than 70 foreign companies, according to a statement. In April it was reported that the Arab television channels such as Iqra Arabic, Abu Dhabi TV, Al Emarat TV, Abu Dhabi Drama, Abu Dhabi National Geographic Channel, Abu Dhabi 1, Abu Dhabi Sports 1, Abu Dhabi Sports 2, Sudan Sports HD were launched via satellite TurkmenAlem 52 ° E.
Turkmenistan launched its first telecommunications satellite TurkmenAlem 52 ° E from Cape Canaveral (Florida) using the US company SpaceX at 4.03 (UTC / GMT + 5 hours), on April 28, 2015 Turkmenistan Alem TV satellite at 52 ° E has three antennas and thus has a wide coverage beam. The satellite covers Europe, Africa and Asia - the area where more than 1.2 million people live. The geographical position of Turkmenistan that could act as a transit country to broadcast TV channels in Europe and Asia, in the presence of an artificial satellite that covers large areas.